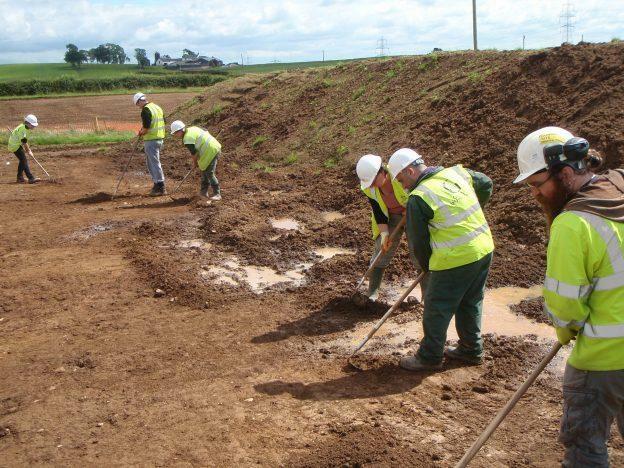 Archaeologists from GUARD Archaeology Ltd, working for Scottish Water, have uncovered the remains of one of the earliest houses in East Ayrshire near Kilmarnock dating to around the early Neolithic period (3500-4000 BC). 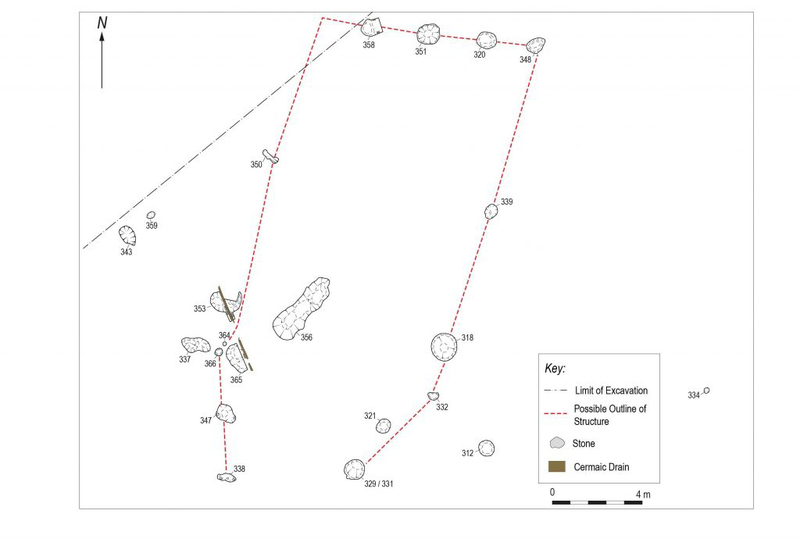 Eight areas of archaeology were observed by the GUARD Archaeologists, who were monitoring the excavation works for the new pipeline. 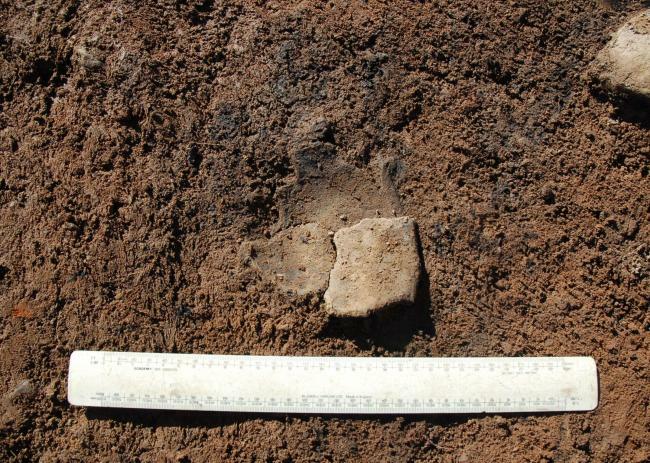 These included some prehistoric burnt spreads and pits but of particular note was the discovery of early Neolithic carinated bowl fragments in a number of post-holes forming part of a rectangular building near Hillhouse farm. This rectilinear hall, which measured 14 m in length and 8 m across, belongs to a type of house built by the first farming communities in Scotland. 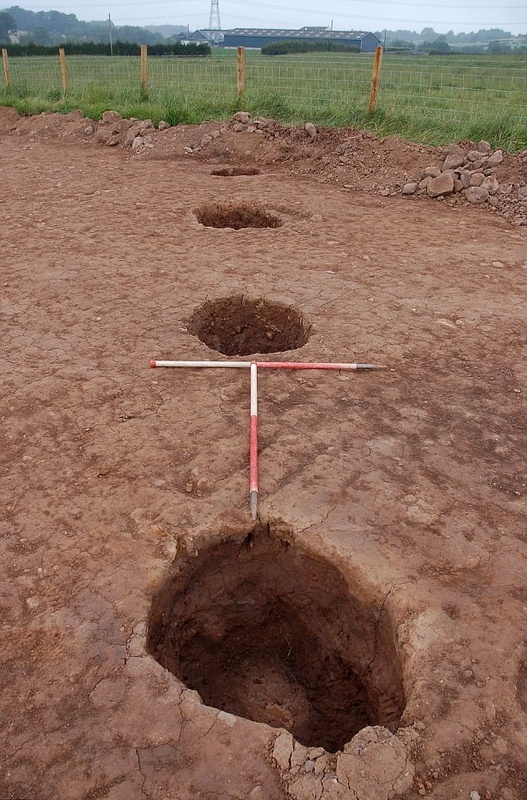 ‘Heavily truncated by millennia of ploughing, only the deepest parts of some of the post-holes survived, arranged in a rectangular plan and containing sherds of early Neolithic pottery, hazelnut shell and charcoal,’ said GUARD Archaeology excavation director Kenneth Green. Up until this time, during the earlier Mesolithic period (c. 8000-4000 BC), Scotland was inhabited by small groups of hunter gatherers, who led a nomadic lifestyle living off the land. The individuals that built this Neolithic house were some of the earliest communities in Ayrshire to adopt a sedentary lifestyle, clearing areas of forest to establish farms, growing crops such as wheat and barley and raising livestock such as cattle, sheep, goats and pigs. Further post-excavation analyses of the pottery charcoal and environmental samples taken during the excavation may reveal the precise date when the house was occupied and provide other insights that will improve our understanding of the spread of farming settlements across Neolithic Scotland.